The current research focus of Cooperative Robotic Systems (CRS) Lab is on the theories and practices of areas within the broad fields of artificial intelligence and robotics, as well as emerging interdisciplinary research areas that integrate these two fields (e.g., humans in the loop of automated systems and cyber-physical systems). The goal of our research is to bring together humans and automated systems seamlessly together, in order to enable these systems to coexist naturally with humans to improve our everyday lives (e.g., in smart homes and for elderly care), as well as to achieve complex tasks that cannot be achieved before (e.g., human-robot teaming in urban search and rescue and decision support systems). 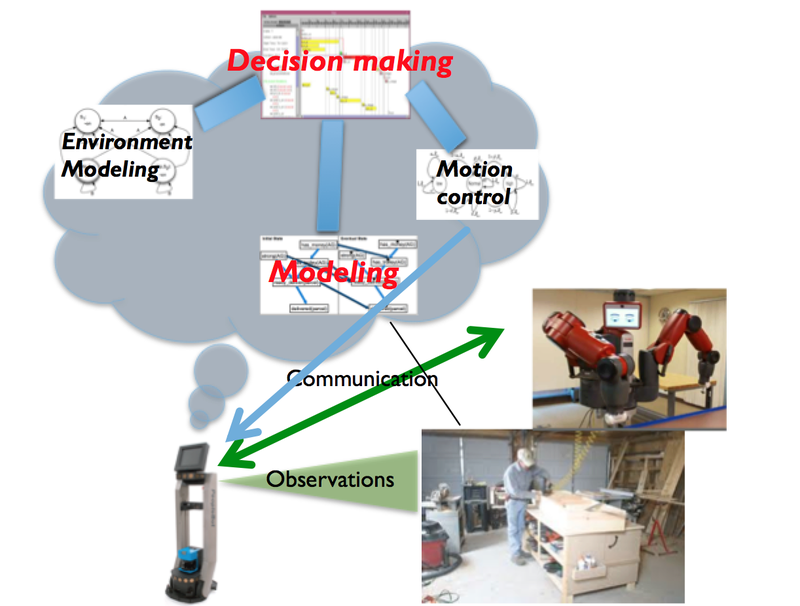 The research agenda of the Cooperative Robotic Systems (CRS) laboratory includes the development of novel modeling methods, robust decision making algorithms, as well as system integration and evaluation for cooperative and intelligent agents.